See more objects with the tag fish, factory, weavers, craftsmen, nature, sea life, parrots, crustaceans, still life, eel, lobster. This is a Drawing. It is dated 1740 and we acquired it in 1938. Its medium is black, white chalk on blue laid paper. It is a part of the Drawings, Prints, and Graphic Design department. 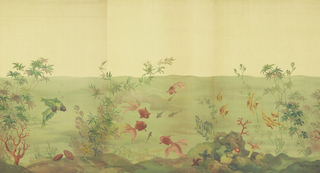 An artful arrangement of sea life is composed against ruins. 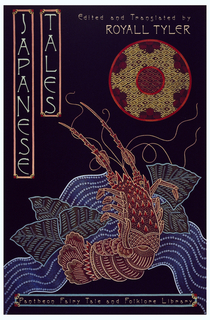 Lobster, fish and eel appear wet and teeming, as though freshly hauled from the sea. Perched above, a live parrot provides a juxtaposition to the nautical still life below. 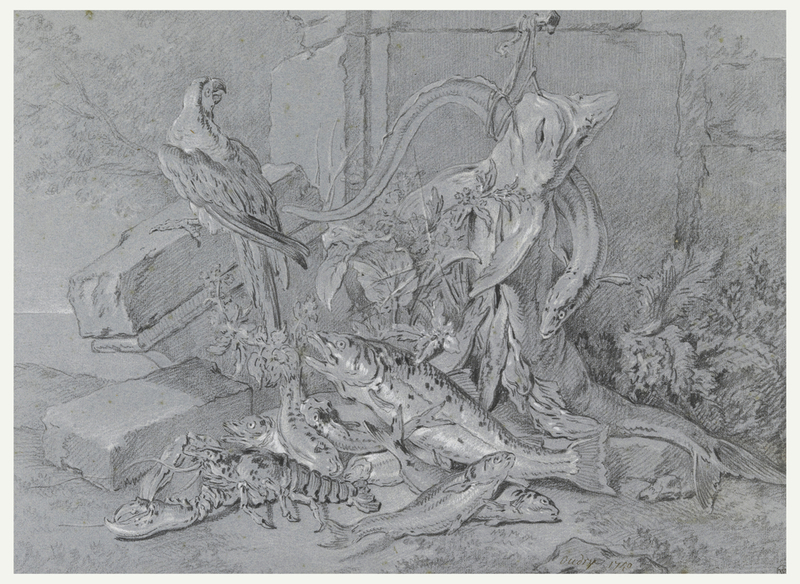 The tension between life and death was a favored pictorial trope of Jean-Baptiste Oudry, who would enliven his compositions with contrasting textures of feather, shells and fur. 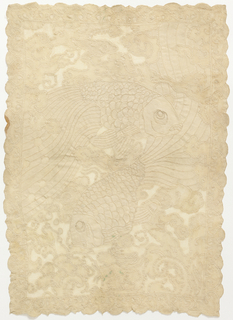 White chalk is used to great effect, suggesting the shimmer of light against fish scales. 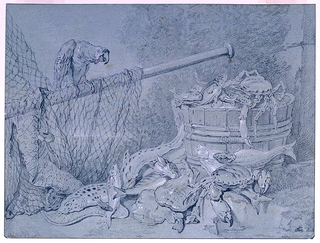 Oudry made studies of animals directly from nature, empiricism being central to his artistic philosophy; from 1719-1721 he traveled to coastal Dieppe specifically for the purpose of observing marine life. Accurate representations of natural specimens were eagerly collected by the nobility and cultural elite of the eighteenth century, satisfying bourgeoning interest in the field of natural history. From a young age, Oudry had a precocious love of drawing and he grew to be a prolific draughtsman, producing thousands of pictures in his lifetime. Numerous drawings were intended as finished works of art, while many were produced as preparatory studies for paintings or tapestries. The artist regularly made copies of his own drawings for sale, in order to retain the original for his private collection. The Cooper-Hewitt’s drawing, dating to 1740, is likely a carefully executed replica of a work exhibited in the Salon of 1725. 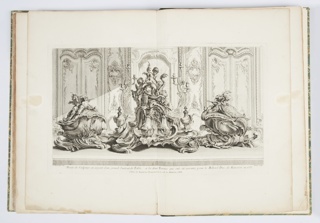 This object was featured in our Object of the Day series in a post titled Original Copy. 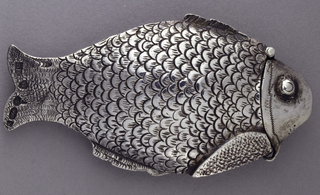 This object was purchased from Sotheby's and fund: Friends of the Museum Fund. It is credited Museum purchase from Friends of the Museum Fund. Stamps: lower left: E. and J. de Goncourt (Lugt 1089); lower right corner: A. Beurdeley (Lugt 421).